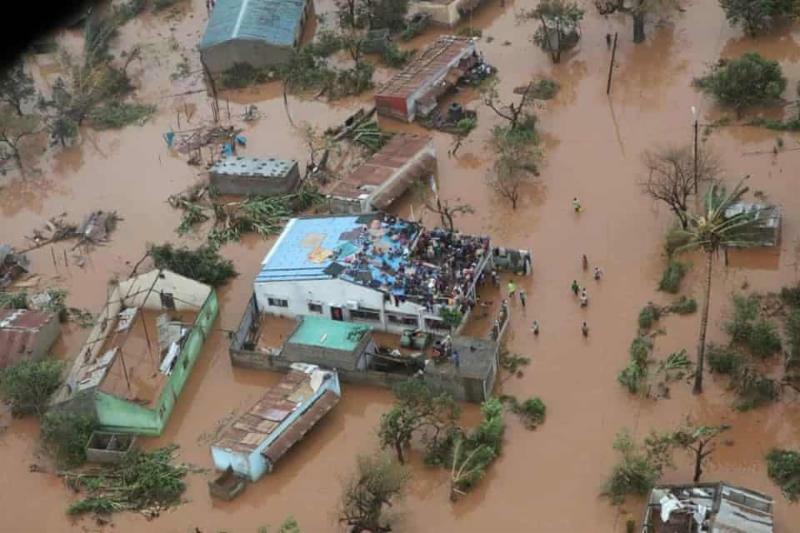 (FALLS CHURCH, VIRGINIA - March 29, 2019) Cyclone Idai, regarded as one of the worst tropical cyclones on record, continues to cause devastation across southern Africa with Mozambique, Zimbabwe, and Malawi the most significantly affected. In response to this disaster, the Baptist World Alliance (BWA) is seeking to support the Baptist conventions and unions in the impacted region as well as mobilizing disaster relief efforts through Baptist World Aid (BWAid) and the newly established Baptist World Alliance Forum for Aid and Development (BFAD). BFAD's goal is to coordinate response efforts, create greater impact, and strengthen partnerships on the ground. "We are working together to establish how best we can respond as the global Baptist body to the crisis caused by Cyclone Idai which has emerged across southern Africa. 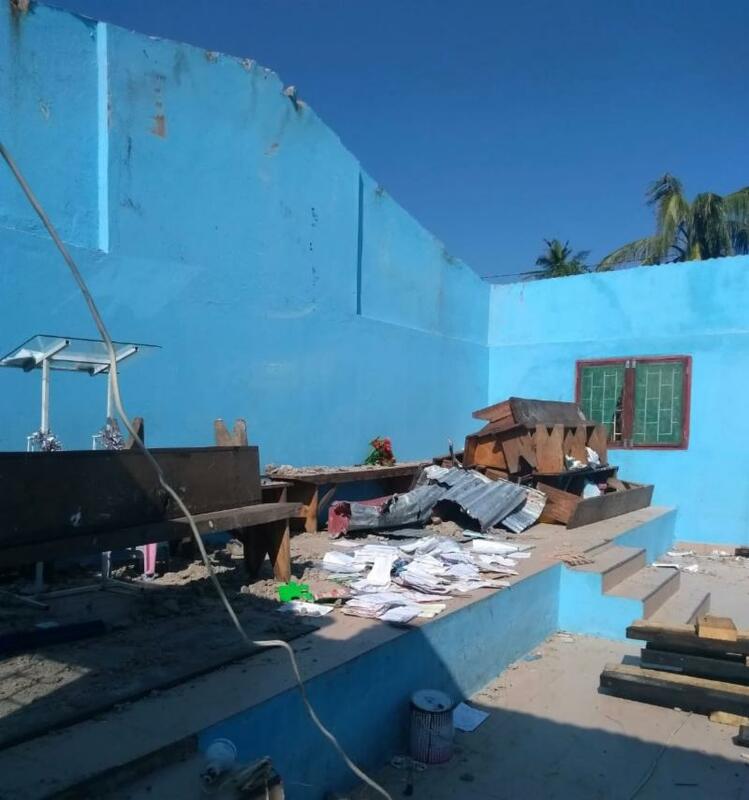 We will be working closely with the Baptist Convention of Mozambique and other Baptist agencies who are present in local communities to ensure a response that is best for everyone involved," said Rachel Conway-Doel, BFAD Facilitator. "At the heart of this response, we want to walk alongside people who are facing this crisis, grieving and vulnerable. We will be trusting God for wisdom, resources, and safety for all those involved." Conway-Doel traveled to the region this week to assess specific needs, including a visit to the port city of Beira, Mozambique. Beira is home to Pastor Manuel Moises Quembo, General Secretary of the Baptist Convention of Mozambique. "I live in Beira, the city that was most affected by the cyclone. We praise the Lord that our lives were spared," said Pastor Quembo. "After Cyclone Idai, many church buildings and pastors' houses were severely destroyed. The immediate needs are food and pure water followed by construction materials such as cement and zinc sheets for reconstruction. I thank you for your concern and willingness to support." If you wish to financially support relief efforts, donations can be made securely online atBWANet.org/online-giving. "It is during challenging times like this that we are reminded of both the responsibility and the privilege we have to bear one another's burdens," said Rev. Elijah M. Brown, BWA General Secretary. "I am grateful for the collaborative spirit among our brothers and sisters in Christ and the opportunity we have at the BWA to network Baptists to respond through prayer, aid, and support – not just today but in the years to come as these regions navigate the rebuilding process." Over 650 people have died with the death toll likely to climb. Please pray for the families and friends of those who have lost loved ones. Multiple cholera cases have been discovered in Munhava, one of the poorest neighborhoods in the port city of Beira. Malaria is also on the rise, so please pray that these illnesses and others will not spread. This will disrupt the harvest season, so impact on long-term livelihoods is significant. Please pray for the immediate needs of these families and for economic stability as they rebuild. Pray for the churches in these regions – many whose buildings, members, and surrounding communities have been affected. Pray that they will be a witness to God's love and be equipped with the resources to restore what has been lost. Communication is still difficult. Communities and relief agencies are struggling to connect and remain in touch with friends and family in the affected areas. Please pray for efforts to restore the communication infrastructure as quickly as possible. A prayer request list is available for download and distribution here. Survivors clinging to buildings in the district of Buzi, Mozambique. The interior of a Baptist Church near Beira, Mozambique. The entire roof was ripped off by Cyclone Idai, one of the worst tropical cyclones on record. The Baptist World Alliance, founded in 1905, is a fellowship of 239 conventions and unions in 125 countries and territories comprising 47 million baptized believers in 169,000 churches. For more than 100 years, the Baptist World Alliance has networked the Baptist family to impact the world for Christ with a commitment to strengthen worship, fellowship and unity; lead in mission and evangelism; respond to people in need through aid, relief, and community development; defend religious freedom, human rights, and justice; and advance theological reflection and leadership development. Falls Church, VA - The Baptist World Alliance (BWA) is expanding the HORIZONS Youth and Children's Worker Program to its worldwide network. HORIZONS is a program with a decade of proven success, with more than 500 people already having completed the course. Now, the BWA will bring it to all the world's Baptists. HORIZONS is a free online training program that guides students through 24 modules in a self-paced program covering youth and children leadership topics. Each module takes about an hour to complete. It was created out of a need felt by European Baptist Federation (EBF) leadership to discover the needs of youth workers. Throughout the years, with the support of Canadian Baptist Ministries, HORIZONS has strengthened the ministry of EBF across Europe, the Middle East, and Central Asia. "We are very excited to help this program expand its already impressive reach," said BWA General Secretary Elijah M. Brown. "With more than 50% of the world's Christians under age 30, this is one of our most important efforts, ever." Youth ministry leaders can take this program in 12 languages - English, French, Spanish, Arabic, Russian, Bulgarian, Romanian, Norwegian, German, Serbian, Hungarian, and Portuguese. Online mentors who help interact and guide registered students are already available in 45 countries. To date, more than 12,000 modules have been completed. Jeff Carter, who designed and implemented this program following his 2003 commission by EBF to conduct an intensive research study of the 54 nations within EBF, now comes to lead its expansion through the BWA. "The success of HORIZONS is really the impact of advocacy and encouragement of our locally trained mentors," Carter said. "These are experienced youth workers who provide the local context for material covered in the course." Carter will serve at BWA as Director of HORIZONS and Congress Mobilization in partnership with Canadian Baptist Ministries, where he previously ministered as Youth Ministry Training Coordinator and Advisor for the EBF. He will also be working with the BWA to encourage widespread participation in the upcoming BWA Congress in Rio de Janeiro, Brazil, July 22-26, 2020. Originally from Nova Scotia, Carter held a post as a faculty lecturer at the International Baptist Theological Seminary where he developed youth leadership courses for the master's and certificate programs. "We want every youth and children's worker to have access to this training," said General Secretary Brown, "and in places where seminary education is not available, this is going to make a critical difference for reaching the next generations." To listen to Jeff Carter discuss HORIZONS in a podcast hosted by BWA's Division on Mission, Evangelism, and Justice, visit www.bwanet.org/programs/mej. To learn more or to enroll in HORIZONS, please visit www.bwahorizons.org. "Networking the Baptist family to impact the world for Christ." (ROME, ITALY - December 21, 2018) Twenty participants from around the world gathered on December 10-14, 2018, for the second meeting in the third phase of the Baptist-Catholic International Dialogue, a series of strategic ecumenical conversations between the Baptist World Alliance (BWA) and the Pontifical Council for Promoting Christian Unity. This year’s assembly was hosted by Roman Catholic leadership at the Domus Internationalis Paulus VI in Rome, Italy. Last year’s delegation was hosted by Baptist leadership at Truett Theological Seminary on the campus of Baylor University in Waco, Texas, USA. On Wednesday, December 12, the delegation met with Pope Francis at the Vatican. While speaking with Rev. 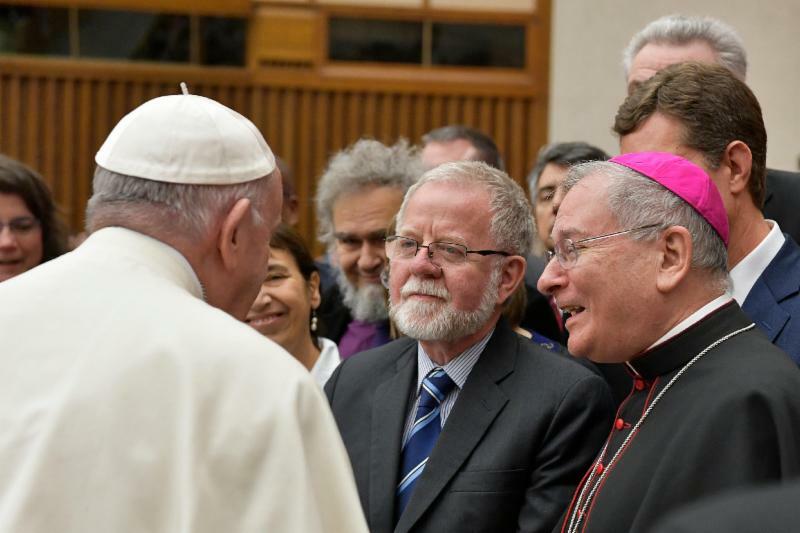 Dr. Frank Rees, Baptist Co-Chair of the dialogue as well as chair of the BWA Commission on Baptist Doctrine and Christian Unity, Pope Francis requested that Baptists be in prayer for him. He affirmed the vision behind the Baptist-Catholic Dialogue and expressed the importance of unity among Christians. On Thursday, December 13, the participants visited Chisea Evangelica Battista Di Trastevere, a local Baptist church that is deeply committed to ecumenical engagement and sharing in the gospel with Catholics, Protestants and Evangelicals. The delegation was welcomed by both the pastor and congregation and enjoyed learning about the church’s ministry to people from around the world, including individuals from Africa and Latin America who are living in Rome, as well as serving the homeless living in the streets. “Our time together was quite powerful as we explored our common witness to Christ and saw it put to action in Tratsevere where the Baptist Church and Catholic Church share a common wall as well as shared ministry in their neighborhood,” said Rev. Dr. Trisha Miller Manarin, BWA Coordinator of Mission, Evangelism, and Justice. This year’s gathering represents a long-standing and growing commitment between Baptists and Catholics, with previous dialogues occurring from 1984-1988 and from 2006-2010. Baptist Commission Members participating in this round of conversations included Co-Chair Rev. Dr. Frank Rees, Associate Professor and Chair of the Academic Board at the University of Divinity in Australia; Rev. Paul S. Fiddes (UK), Dr. Derek Hatch (USA), Dr. Glenroy Lalor (Jamaica), Dr. Tomás Mackey (Argentina), Dr. Elizabeth Newman (USA), and Dr. Lina Toth (Lithuania/UK). Rev. Dr. Anna Maffei (Italy) and Rev. Jeremy Bell (Canada) participated as observers, Rev. Dr. Trisha Miller Manarin served as the BWA Staff Representative, and Rev. Dr. Steven R. Harmon served on behalf of the BWA as secretary for the Co-Chair. The Catholic delegation consisted of Co-Chair Bishop Arthur Serratelli, Bishop of Paterson, New Jersey, USA; Dr. Peter Casarella (USA), Rev. Dr. Stephen Fernandes (India), Rev. Dr. William Henn O.F.M. Cap. (Italy), Rev. Dr. Hector Scerri (Malta), Sr. Dr. Marie-Hélène Robert N.D.A. (France), Rev. Dr. Jorge A. Scampini O.P. (Argentina), and Sr. Dr. Susan Wood S.C.L. (USA). Rev. Dr. Gabriel Mmassi (Africa/Italy) was a guest presenter at the meeting, and Rev. Avelino Gonzalez-Ferrer of the Vatican’s Pontifical Council for Promoting Christian Unity served as secretary for the Co-Chair. The Baptist-Catholic group will meet annually through 2021, with the next round of conversations to be hosted by the Baptist Union of Poland at the Baptist Theological Seminary in Warsaw on December 9-13, 2019. To review the commission communique, click here. The Baptist World Alliance, founded in 1905, is a fellowship of 239 conventions and unions in 125 countries and territories comprising 47 million baptized believers in 169,000 churches. For more than 100 years, the Baptist World Alliance has networked the Baptist family to impact the world for Christ with a commitment to lead in mission and evangelism; respond to people in need; defend human rights and justice; promote worship, fellowship and unity; and advance relevant theological reflection. Falls Church, VA – The Baptist World Alliance announced today it has been named a “2018 Top-Rated Nonprofit” by GreatNonprofits, the leading provider of user reviews of charities and nonprofits. BWA unites the world’s Baptists in ministries of compassion, justice, theological education, unity and fellowship, mission and evangelism resulting in thousands of empowered churches working together across national and cultural divides more than a hundred countries around the world. The Top-Rated Nonprofit Award is the based on the rating and number of reviews that Baptist World Alliance received from volunteers, donors and aid recipients. “My involvement with Baptist World Alliance goes back almost thirty years,” says, Karen Bullock, a volunteer and commission leader, “in which time I have never been disappointed with its mission, its administration, its integrity, or its financial responsibility.” BWA subjects itself annually to an independent audit and publishes each final report to aid potential supporters in feeling confident of the organization’s commitment to its fiduciary responsibility. GreatNonprofits is the leading website where people share stories about their personal experiences on more than 1.6 million charities and nonprofits. The GreatNonprofits Top-Rated Awards are the only awards for nonprofits determined by those who have direct experience with the charities – as donors, volunteers and recipients of aid. 239 Member Organizations in 125 countries and territories. 169,000 churches and 49 million baptized believers. (FALLS CHURCH, VIRGINIA - February 6, 2019) In response to the recent arrest of Baptist leader Gregory José Pérez, the Baptist World Alliance (BWA) is mobilizing efforts to connect with government authorities to encourage his release as well as providing financial resources to local ministries that are responding to needs of Venezuelans, both within the country and displaced refugees in neighboring nations. Mr. Pérez was arrested on January 23, 2019, in the city of San Felipe, Yaracuy State, alongside more than 30 others, including numerous children ranging in age from 12 to 14. He currently serves in a volunteer capacity as the Executive Director of the National Baptist Youth Union of Venezuela, a ministry of the National Baptist Convention of Venezuela. At the time of his arrest, Mr. Pérez was working in a communications center but was asked to vacate the premises due to protests nearby. He then entered the home of friends in the vicinity and was subsequently arrested when police conducted a search of the neighborhood, despite no evidence linking him to the protests. On behalf of millions of Baptists around the world and in partnership with the National Baptist Convention of Venezuela and the Union of Baptists in Latin America, Rev. Brown and Rev. Parrish Jacome have composed and distributed a letter to government authorities within Venezuela, urging that human and legal rights be honored, including the removal of all charges against Mr. Pérez and against the others arbitrarily arrested alongside him. The BWA is also working to mobilize a greater response by reaching out to connections within the United Nations and United States Congressional Offices. The care and concern of the BWA extends beyond the needs of Mr. Pérez to all the people of Venezuela. “At this particular moment in the life of Venezuela, the BWA and Baptists around the world stand in prayer for the peace and wellbeing of the country,” says Rev. Brown. To that end, in addition to justice efforts on behalf of Mr. Pérez, BWAid has offered $5,000 emergency grants to six Baptists conventions and organizations working alongside the people of Venezuela. This includes ministries that are providing support within the country, offering programs that provide basic care and employment for displaced Venezuelans, and empowering church leaders who are continuing to live a vibrant witness today. Pray for the full release and exoneration of Gregory José Pérez, those arrested with him, and for Venezuela as a whole. Give to the BWA to support endeavors in Venezuela now and in the future.